Hand signed by Keith Haring in pencil lower right corner and dated '89. Inscribed a.p. lower left corner. From the Kinderstern portfolio, with the blindstamp of the printer and publisher, Edition Domberger, Filderstadt, West Germany. Reference Littman, K, & Haring K. Keith Haring, Editions on Paper 1982-1990: The Complete Printed Works, Cantz, Stuttgart, 1997, p.117 Framed. 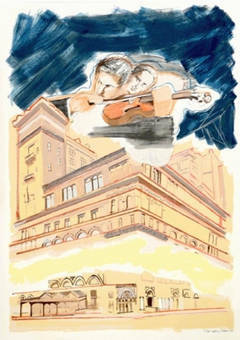 This screenprint from the Carnegie Hall 100th Anniversary portfolio was created by the artist in 1990. 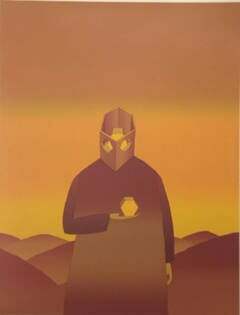 From the signed edition of 60.